Odor control on the backburner. In the modern world of wastewater treatment, control of odors has moved from an afterthought to a primary design consideration for most collection and treatment facilities. As development encroaches on our facilities and our new neighbors become less tolerant of nuisance odors, wastewater professionals have found the need to address odor as a primary concern in the design and operation of collection and treatment facilities. As the attention paid to odor control has increased, so has the number of odor control technologies that are available in the marketplace. This paper consists of an evaluation of the qualitative characteristics and the economic properties of the various technologies available for wastewater odor control. The goal of this paper is simply to compile and summarize this information. There are a virtually limitless number of unique odor control problems and challenges and it would be impossible to identify one technology as the most applicable for all situations. It is hoped that this paper could be used as a guide to select the most appropriate technology or technologies based on the unique characteristics of a given application. 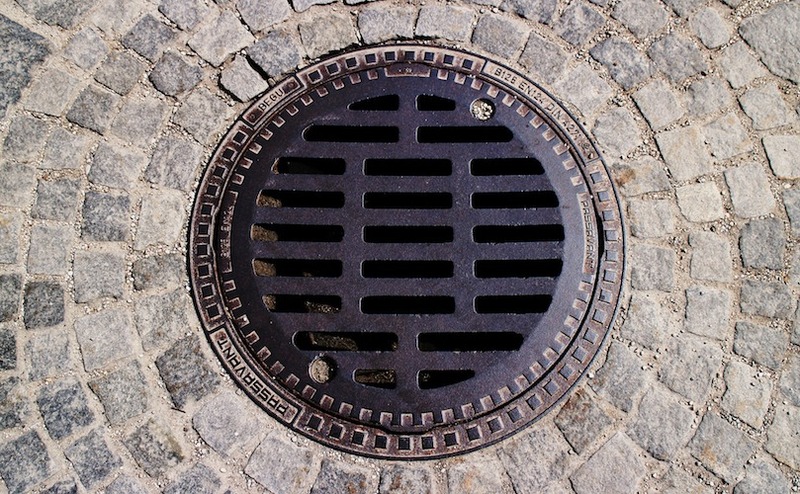 Any place or process in which wastewater is collected, conveyed or treated has the potential to generate and release nuisance odors to the surrounding area. However, most odor problems occur in the collection system, in primary treatment facilities and in solids handling facilities. In most instances, the odors associated with collection systems and primary treatment facilities are generated as a result of an anaerobic or "septic" condition. This condition occurs when oxygen transfer to the wastewater is limited such as in a force main. In the anaerobic state, the microbes present in the wastewater have no dissolved oxygen available for respiration. This allows microbes known as "sulfate-reducing bacteria" to thrive. These bacteria utilize the sulfate ion (SO4-) that is naturally abundant in most waters as an oxygen source for respiration. The byproduct of this activity is hydrogen sulfide (H2S). This byproduct has a low solubility in the wastewater and a strong, offensive, rotten-egg odor. In addition to its odor, H2S can cause severe corrosion problems as well. Due to its low solubility in the wastewater, it is released to the atmosphere in areas such as wet wells, headworks, grit chambers and primary clarifiers. There are typically other "organic" odorous compounds, such as mercaptans and amines, present in these areas, but H2S is the most prevalent compound. Solids handling facilities are another significant odor problem area. In biosolids dewatering and treatment processes, the biosolids commonly undergo extreme turbulence, pH adjustment and/or thermal treatment. Depending on the nature of the biosolids stream and the treatment used, the odor compounds released can consist of any combination of the following compounds in a wide range of concentrations: ammonia, amines, hydrogen sulfide, organic sulfides and mercaptans. Additionally, anaerobic digestion of sludge creates the anaerobic conditions in which sulfate-reducing bacteria thrive, causing the formation of hydrogen sulfide that is vented with the digester "biogas" formed from the digestion of sludge. There are many different technologies that can be applied to control odors from wastewater collection and treatment systems. These technologies can be split into two main groups: vapor-phase technologies, used to control odorous compounds in the air or gas; and liquid-phase technologies, used to control odorous compounds in the liquid wastewater itself. Vapor-phase technologies typically are used in point-source applications such as wastewater treatment plants and pump stations or for the treatment of biogas. Liquid-phase technologies typically are used in collection systems where control of both odors and corrosion are concerns and/or where multiple point odor control is an objective. This article breaks the technologies into vapor-phase and liquid-phase groups for comparison. The technologies are compared easily within the same group, but generalized comparisons across groups are not possible. Vapor-phase designs are driven by the ventilation rate for headspace to be treated and the mass loading of the contaminant volatilized from the wastewater to the vapor phase. Liquid-phase designs are driven by the wastewater flow rate and/or the total mass loading of the contaminants within the liquid phase. The ventilation and volatilization rates corresponding to liquid flow and mass loading vary widely for individual applications, making generalized comparisons of vapor- vs. liquid-phase treatment impossible. Often the general objectives and the logistics of an application will dictate one approach being desired over the other. If that is not the case, it is suggested that the designer evaluate vapor phase and liquid phase technologies independently to determine the most appropriate technology for each group, then make an application-specific analysis to choose the ultimate technology or combination of technologies. Vapor-phase technologies ventilate the point sources of odor problems (wet wells, headworks, etc.). For air treatment, the ventilation system is designed to maintain a negative pressure on the area at all times. This prevents the "leakage" of odorous air from vents, manways, access hatches or other areas. The discharge from the ventilation system is the only route for the odorous air to escape, therefore it must be treated. Vapor-phase systems are very effective at preventing fugitive emissions from the ventilated sources and preventing odor problems associated with those sources. If large amounts of air are ventilated, vapor-phase systems also can be effective at providing adequate ventilation for occupancy and/or reducing the contaminant concentration to levels that do not pose safety or corrosion hazards. Biogas treatment systems are concerned primarily with the removal of hydrogen sulfide to prevent the formation of sulfur dioxide (SO2), a product of the combustion of gas containing hydrogen sulfide. Most plants that have anaerobic treatment burn the methane-rich biogas produced from the anaerobic sludge digestion (either as waste gas in a flare or in engines, turbines or boilers for the production of power or steam). Because of this practice, the removal of hydrogen sulfide many times is required to meet emissions standards or to prevent corrosion in the combustion equipment. The technologies evaluated in this paper for use in treating the ventilation air or biogas are wet air scrubbing, liquid redox technology, biofiltration, solid scavengers and carbon adsorption. Wet air scrubbing is the most flexible and reliable technology for vapor-phase wastewater odor control. This technology can be used to treat virtually any water-soluble contaminant. In addition to hydrogen sulfide and "organic" odors, wet scrubbing is very effective for ammonia removal. In a wet air scrubber the odor contaminants are solubilized from the vapor phase into an aqueous chemical solution. The removal mechanism is purely chemical and is not subject to upsets as are biological processes. The chemical balance in the system is automatically and continuously maintained, even under changing loading conditions, minimizing the chance for odor break-through. The application of a multi-stage scrubber allows the utilization of a different chemical solution in each of the stages to efficiently use chemicals and target a wide range of contaminants for treatment. One major advantage of wet scrubbing systems is the reliability and flexibility provided by the use of chemicals and chemical reactions. A major challenge in the design and operation of wet air scrubbers is the minimization of chemical use and cost while maintaining complete, flexible and reliable treatment. One design used to reduce chemical use is the multi-stage scrubbing system. As mentioned above, in raw wastewater odor control applications the most prevalent contaminant is hydrogen sulfide, but other organic odorous compounds typically are present as well. Hydrogen sulfide can be solubilized with a solution of sodium hydroxide. However, the other odor-causing compounds are best treated by sodium hypochlorite. In a single-stage scrubber system, sodium hydroxide and sodium hypochlorite are used in a recirculating chemical solution. Since sodium hypochlorite is a strong oxidizer, it readily reacts with the sulfide that is solubilized by the sodium hydroxide. Therefore, in a single-stage system sodium hypochlorite must be added in sufficient quantities to oxidize the hydrogen sulfide and maintain a residual to treat the other odor compounds. In a multi-stage system, sodium hydroxide is used alone in the first stage to solubilze hydrogen sulfide. Sodium hypochlorite is added to the last stage only. By eliminating the sodium hypochlorite from the sulfide removal process, the consumption rate for this chemical is greatly reduced. Liquid redox technology has a relatively long history, but is not widely used in the odor control market. Most liquid redox processes are used in the petrochemical and natural gas industries and generally are considered too complicated and costly for odor control applications. Liquid redox units use a chelated metal dissolved in a water solution to remove hydrogen sulfide from a gas stream and convert it catalytically to solid, elemental sulfur. The metal, held in solution by organic chelating agents, acts as a catalyst, speeding up the naturally occurring reaction. The metal ion in the solution removes electrons (negative charges) from a sulfide ion (S-) to form sulfur and in turn can transfer the electrons to oxygen (O2) in the regeneration process. Although there are many metals that can perform these functions, iron (Fe) is the most commercially used because it is inexpensive and non-toxic. Liquid redox processes have limited applications in wastewater treatment facilities compared to wet scrubbers, as they generally have higher capital costs. Where these processes have seen greater demand is in the treatment of anaerobic biogas, where higher levels of hydrogen sulfide and the presence of carbon dioxide cause the lower capital costs of wet scrubbers to be offset by their much higher operating chemical costs. Generally speaking, liquid redox units have operating costs that can be less than 10% of other vapor phase treatment options because of the regeneration of the active catalyst, the iron solution. However, because of their higher capital costs, the lower operating costs are enough to justify the use of liquid redox systems only when the requirement for the removal of hydrogen sulfide reaches 200 to 300 lb/day. Above this level, the low operational cost of a liquid redox system easily can achieve less than a 2-3 year payback on the initial capital investment. Comparisons to conventional wet scrubbers are not productive. The two technologies really do not overlap. Liquid redox units focus on digester gas treatment and ventilation air applications with extremely high loadings of hydrogen sulfide. Additionally, because they remove only hydrogen sulfide, liquid redox units used for ventilation air odor control in wastewater facilities often will require polishing with hypochlorite or carbon to remove other odor compounds present. Biofiltration technology can be used to treat a variety of biodegradable, water-soluble contaminants. In a biofilter, the odor contaminants are solubilized from the vapor phase into an aqueous phase on the surface of an organic medium such as compost, mulch or peat. The compounds are then degraded by the bacteriological population on this media. Biofilters are very effective at removing sulfur-based odor compounds such as hydrogen sulfide, organic sulfides and mercaptans. Biofilters generally are not effective at removing nitrogen-based compounds such as ammonia and amines. Two major challenges in biofiltration systems are stability of the media and control of the biofiltration process. The media used in biofilters can be prone to breakdown. When this occurs, the bed settles and compacts, increasing the headloss through the filter. This causes a decrease in airflow and fugitive odor emissions typically result from the air source. Control of the biofiltration process also is an important concern. The biological population within the filter is subject to upsets, as are any organisms. If the media are exposed to wide swings in environmental conditions, upset of the bacteria population may result and break-through odors will occur. These challenges can be addressed by applying an engineered or "manufactured" biofilter. Engineered biofilters typically address media stability and control issues and are provided with process guarantees. The media stability is addressed through the use of an "engineered media," as contrasted with a "simple media." Simple media typically consist of materials locally available near a specific application (e.g., compost, mulch, wood chips, etc.). Engineered media typically are designed to meet a particular composition and performance specification with a performance guarantee. Engineered media have a specific combination of organic materials that is followed to ensure consistent and repeatable performance. Process control is addressed through the design of the filter. Most engineered systems utilize an enclosed design to protect the media from temperature and humidity swings. In many cases, the enclosed design also is modular. The media are contained in modules that are arranged in an array to provide a complete biofiltration system. This modular design provides quick and easy construction of the system and extremely easy media replacement. Scavengers are solid or liquid materials that remove sulfur compounds from gas or liquid streams, reacting with them and converting them to stable compounds. Since the media are actually consumed, scavengers typically are limited to low levels of contaminants. For the purposes of this paper, only solid scavengers will be considered as they have the widest application to wastewater facilities odor control and digester gas treatment. Solid scavengers differ from carbon absorbers in that the sulfur compounds (hydrogen sulfide and light mercaptans) actually react to form stable compounds. As a result, spent media from scavengers are easier to handle than spent carbon media. A downside is that scavengers normally cannot be regenerated. An exception is aerobic applications where the scavenger medium actually acts as a catalyst, and is not consumed in the removal of hydrogen sulfide. Aerobic scavengers are regenerated in situ until the production of sulfur causes plugging of the media bed. Solid scavengers are of two major types; those that use an organic substrate (generally called an iron sponge) or those that use an inorganic or ceramic substrate. The iron sponge has a long history of treating digester gas with low levels of hydrogen sulfide but suffers from safety concerns associated with the removal and disposal of the spent media. Because of its organic substrate (usually wood), and the fact that the reaction of the product (iron sulfide) and air releases heat, care must be exercised when removing and disposing the media, as a fire can result from the improper handling. A recent alternative to iron sponge is media using the same iron oxide active ingredient as iron sponge, but utilizing an inorganic substrate that has none of the safety concerns associated with media combustion. These media have seen widespread use in the natural gas market and have spread into the treatment of anaerobic biogas and even, in some cases, odor control ventilation air due to their simplicity and low capital costs. Operating costs for scavenger systems are comparable to single-stage wet scrubbers, but have the added benefit of not absorbing carbon dioxide (a large constituent of biogas), making them ideal for treating biogas with low to moderate levels of hydrogen sulfide. In a carbon adsorption system, the air stream is passed over a bed of adsorbent (carbon) and the odor-causing compounds are attracted to and adhere to the surface of the adsorbent. This is the simplest of the three wastewater odor control technologies. There is no on-going chemical supply to the system, and there are no biological processes to be upset. Adsorption is applicable to a wide range of compounds. Hydrogen sulfide and related sulfur-based compounds are removed effectively by carbon adsorption systems, but ammonia and other nitrogen-based compounds are not effectively treated. Various carbon type systems including activated and impregnated can be used independently or in combinations to remove many different contaminants. Liquid-phase technologies involve the treatment of a wastewater stream to control the release of odor and corrosion-causing compounds from the stream. Most liquid-phase technologies involve the addition of a chemical to the wastewater to either control the formation of odorous compounds or react with those compounds once they are formed. Liquid-phase treatment is most commonly applied in wastewater collection systems, not treatment plants. It often is applied in a collection system for downstream control at the headworks of a treatment plant. Since liquid-phase treatment controls the odor compounds in the wastewater itself, it provides corrosion control in addition to odor control. With liquid-phase treatment, hydrogen sulfide is prevented from escaping the liquid into the vapor, therefore it is not present to cause corrosion on process structures, pipe crowns, etc. Liquid-phase treatment can provide multiple point odor control. Through proper application of a liquid-phase treatment in a collection system, multiple odor release points such as manholes, air relief valves and re-pump stations can be controlled through one chemical application point. The liquid-phase technologies evaluated in this paper are iron salts, bioxide process, oxidizers and anthraquinone. Iron salts are applied to wastewater to oxidize and/or precipitate dissolved sulfide. Ferrous salts such as ferrous sulfate precipitate sulfide as ferrous sulfide. Ferric salts such as ferric chloride oxidize some of the sulfide to sulfur while reducing the ferric iron to ferrous iron. The remaining ferrous iron then reacts with dissolved sulfide to form the ferrous sulfide precipitate. Ferrous sulfide is a light precipitate, black in color, that is carried downstream to the treatment plant. Within the aeration process of the treatment plant the ferrous sulfide is dissociated. The sulfide is oxidized to sulfate and the ferrous iron is oxidized to ferric iron. The ferric iron then can be used for chemical precipitation of phosphorous. Iron salts are specific to dissolved sulfide. Other odorous compounds are not treated by iron salts. Iron salt solutions are classified as hazardous compounds and often require double-wall tankage and piping systems. The bioxide process involves the application of a nitrate solution (Bioxide) to wastewater. It is a patented process, proprietary to USFilter. The process uses naturally occurring bacteria to biochemically oxidize dissolved sulfide in the presence of nitrate. This mechanism takes place when the solution is applied in wastewater that contains dissolved sulfide. The sulfide typically is either generated upstream of the injection point where no nitrate exists in the wastewater or is contributed downstream via a septic lateral flow. Nitrate is injected in sufficient quantities to biochemically oxidize the sulfide via the following reaction. This reaction takes place in the bulk flow and in the upper zones of the slime layer. Nitrate is not added in sufficient quantities to fully saturate the slime layer, therefore sulfide production continues to occur in the lower zones of the slime and is removed in the upper zones or in the bulk flow. The Bioxide solution is not classified as a hazardous compound. It is relatively easy and safe to store, handle and apply. Oxidation for wastewater odor control involves the application of a strong chemical oxidizing agent to the wastewater. The oxidizing agent is used to chemically react with dissolved sulfide, converting it to sulfate or sulfur. In addition to dissolved sulfide, many other odorous compounds are treated by the oxidizing agent. Many non-odorous compounds also are oxidized, causing application rates to be higher than those predicted by the stoichiometry of the sulfide reaction. All of the oxidizers commonly used for wastewater odor control are classified as hazardous. Hydrogen peroxide is the most commonly used oxidizer. Anthraquinone is a chemical compound that interrupts the sulfate reduction process carried out by sulfate-reducing bacteria (SRB) in wastewater under anaerobic conditions. This metabolic process occurs in the cytoplasmic membrane of the SRB at the cytochrome c3 location. Anthraquinone interacts with cytochrome c3 and specifically disrupts the sulfate reduction process. Anthraquinone is a non-hazardous compound. When used alone, anthraquinone is specific to the control of sulfide. It also can be used in conjunction with the biocide process. Because of the difficulty of comparing applications for biogas treatment (widely varying hydrogen sulfide levels require different methods of treatment), comparisons of the capital and operating costs of liquid redox systems and solid scavengers for the treatment of biogas are not included. Generally speaking, liquid redox systems will have a higher capital cost while having operating costs around 10% those of the solid scavenger systems, with solid scavengers being preferred at less than 200 to 300 lb hydrogen sulfide, liquid redox above that. Loading – How much hydrogen sulfide needs to be removed? Is it greater than 300 lb/day, or less? Variability – Does the gas flow vary greatly? Does the hydrogen sulfide level have significant spikes, or is it highly variable? Will the unit run continuously, or is it a backup or only to run intermittently? Process Conditions – At what pressure and temperature is the gas available? Can I tolerate pressure drop, or does it need to be minimal? Labor – Do I want a system that can operate without any day to day involvement but requires periodic media changeout, or would I prefer a system that maintains a small by steady attention requirement? These are all questions that must be answered when you are evaluating a system for the treatment of biogas. As much as the capital and operating issues, they will play an important part in the decision between liquid redox and solid scavenger systems for biogas treatment. This review and analysis does not provide a conclusive determination of "the best" odor control technology. Rather, it supports the contention that the existing conditions, treatment objectives and economic restraints must be considered in selection and design of any odor control strategy. This article was originally published on Dec. 28, 2000. It has since been revised for clarity. Vaughan Harshman, P.E., is the product manager for USFilter Davis Products. Tony Barnette is an applications engineer for USFilter Gas Technology Products. GWI announces winners at the 2019 Global Water Awards.